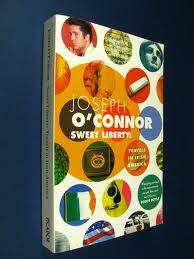 O’Connor has, almost surreptitiously, become one of Ireland’s most successful writers. He went to University College Dublin in the first half of the 1980s (presumably, he studied there, too, on occasion), but come ’85 was off wandering: six months in Nicaragua, followed by a year in Oxford (where his doctorate on the English poet Stephen Spender was abandoned in favour of writing short stories and fiction pieces), and then a year in London working for the Nicaragua Solidarity campaign. From the late 80s onwards, he has been a full time writer, much liked (and commissioned) by newspapers and magazines for his never pretentious insights and grounded opinions, his winning way with a wisecrack, and, specifically, his lightness of touch on a range of topics. In person, too, O’Connor is a winner. Engaging, balancing slight self-deprecation with an air of unforced intelligence, he’s an eloquent Everyman, surely, for New Yorker, Esquire, Elle and Atlantic magazine readers. He views the non-fiction selections in one of his most recent books, The Irish Male – His Greatest Hits as “a chronicle of the times – if you wanted to take it seriously. Not that I think it all deserves to be taken seriously…” Some of the pieces were written almost 20 years ago, but he says he doesn’t think (that is, he knows all too well) he’s the same person now. And win awards more than others, too? 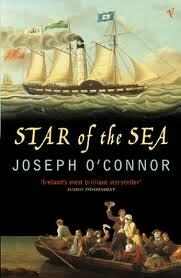 Star Of The Sea won quite a few literary gongs, notably an American Library Association Award and the Prix Littéraire Européen Zepter (for Best European Novel). 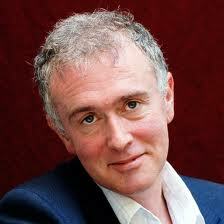 So far, however (unlike more than several other Irish writers) even a Booker Long List nomination has eluded him. This is especially surprising, considering the scope and depth of not just Star Of The Sea, but also its sequel, Redemption Falls. O’Connor is coolly pragmatic (albeit with the merest hint of irritation) about such an oversight. Some other time, then? 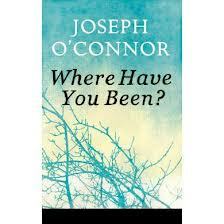 In the interim, O’Connor will be doing what he always seems to be doing - having a long, hard think about his next couple of books. "Just ideas to get them off the ground.” And with that, he’s off to his cubbyhole to write. Funny stuff, serious stuff, and most assuredly, too, the right stuff.